I’ve mentioned before that I’m not a big fan of running, but that doesn’t mean that I don’t love to hit the gym and break a sweat at spin class. One of my tricks for keeping myself motivated is wearing fun and flattering workout clothes so I feel like I am off to do something fun instead of off to do something that is a chore. I am a firm believe that when you look good, you feel good and I think working out should be no exception. Lucky for me, I’ve discovered FreeMotion Fitness workout clothes that wear well, wash well and most importantly are cute and comfortable while I am working out. 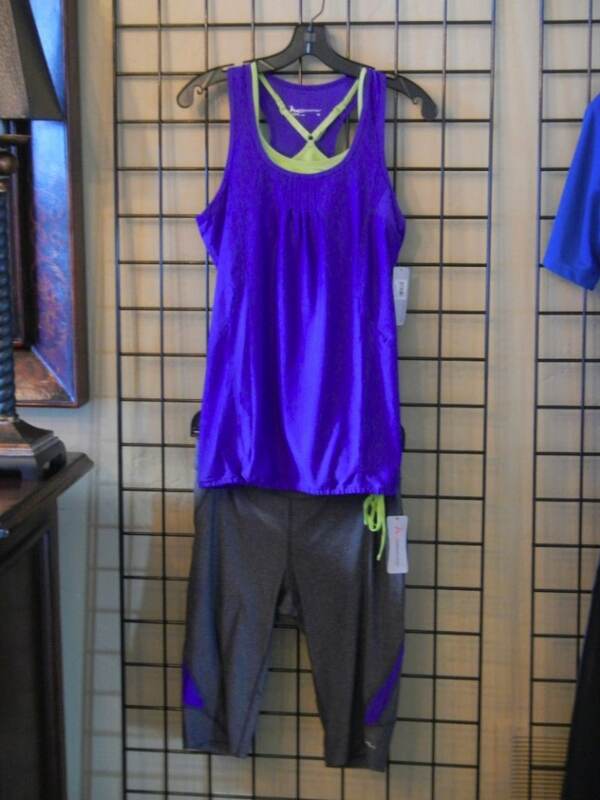 FreeMotion Fitness has created a great collection of workout gear that mixes and matches greys and blacks with bright pops of pink, purple, yellow and orange so you can feel comfortable and cute in your workout gear and tone up or tone down the brightness of your look based on your personal style. Another great thing about FreeMotion Fitness workout gear is that the price is right. The majority of the pieces in the collection retail from $32-$67 dollars making it easy to build a cute workout wardrobe without breaking the bank. 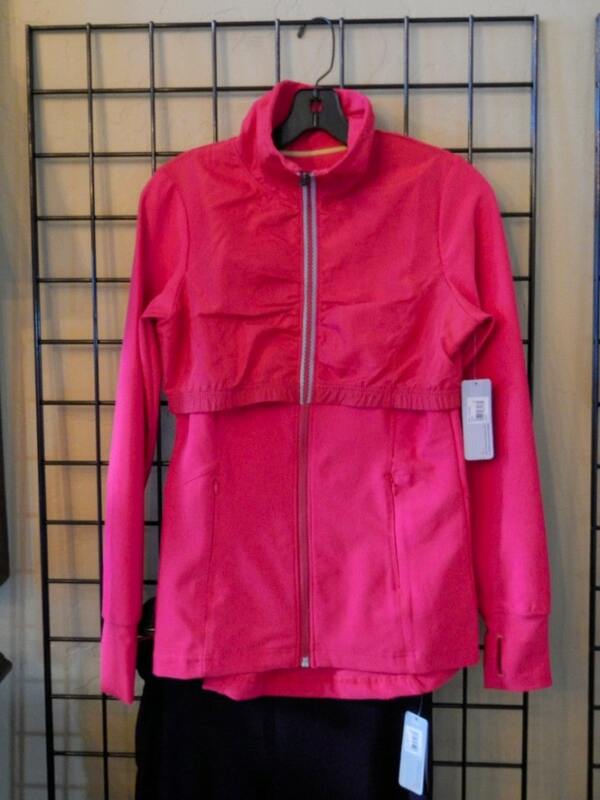 The Whisper Jacket is one of my favorite pieces in the FreeMotion Fitness collection. The fit on this jacket is fantastic and flattering, which is exactly what you want after pushing yourself hard at the gym. I love the scalloped detailing along the zipper which is made of reflective material making the jacket both cute and functional. This top is my go-to piece to throw on for the walk to and from my workout because it keeps me warm enough during this bizarre spring weather we are having but can be tossed in the washing machine with the rest of my workout gear. The zipper pockets are a bonus because it allows me to bring my keys and my phone (with my very important Starbucks app) without having to bring a bag or purse to the gym. 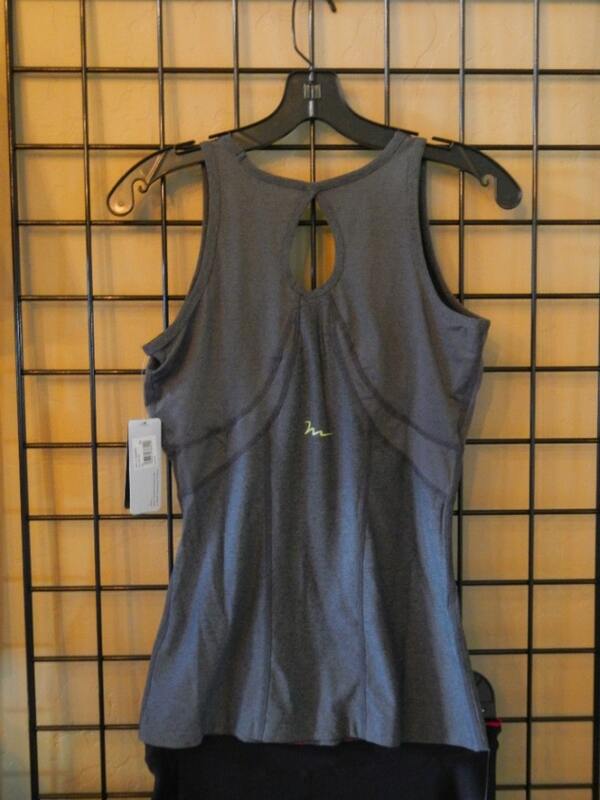 Another signature piece in the FreeMotion Fitness collection are the Keyhole Tanks. I love these pieces because they are stylish and fun, but still very functional for the gym. 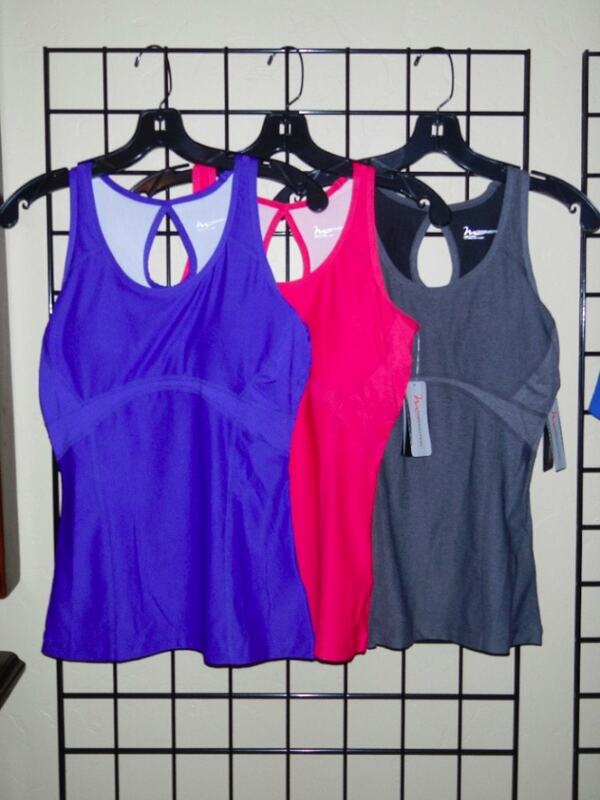 The tops give a nice amount of coverage so you can be comfortable doing yoga or leaning over the bike in spin class. I can’t pick a favorite color but luckily, FreeMotion Fitness Apparel is affordable so I don’t have to! Here’s a shot of the Keyhole Tank from the back. The keyhole detail on the back gives you a little bit of style while you are working out to keep your gym clothes from feeling frumpy and shapeless. Ready to hit the gym? FreeMotion Fitness apparel can be purchased online here.